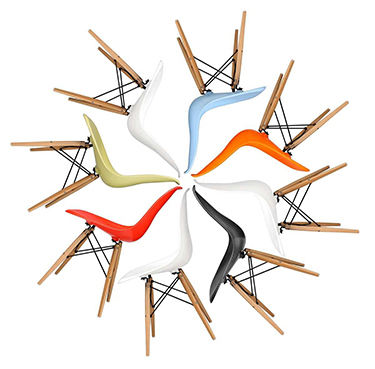 When you buy the LCW chair designed by Charles Eames, you are simply not buying a chair you are becoming a part of a glorious history. It is a traditional lounge chair crafted by legendary designer Charles Eames based on his pioneering wood moulding techniques. This chair is the perfect place to unwind after a hard day with a coffee and book in hand. This chair is the perfect mix of comfort and style. The chair is crafted out of layers of oak, walnut and beech and finished in natural wood. The unique wooden legs have rubber shock mounts to cushion against jarring movements. To buy LCW chair inspired by Charles Eames, log in to www.stin.com and avail 50% discount which is not possible if purchased through other providers.